Tamsin Wilson brings together the strands of her culinary journey to places as far afield as Cyprus, Gibraltar, North-East Thailand and Northern Laos, to Patumahoe, a rural town on the southern outskirts of Auckland. 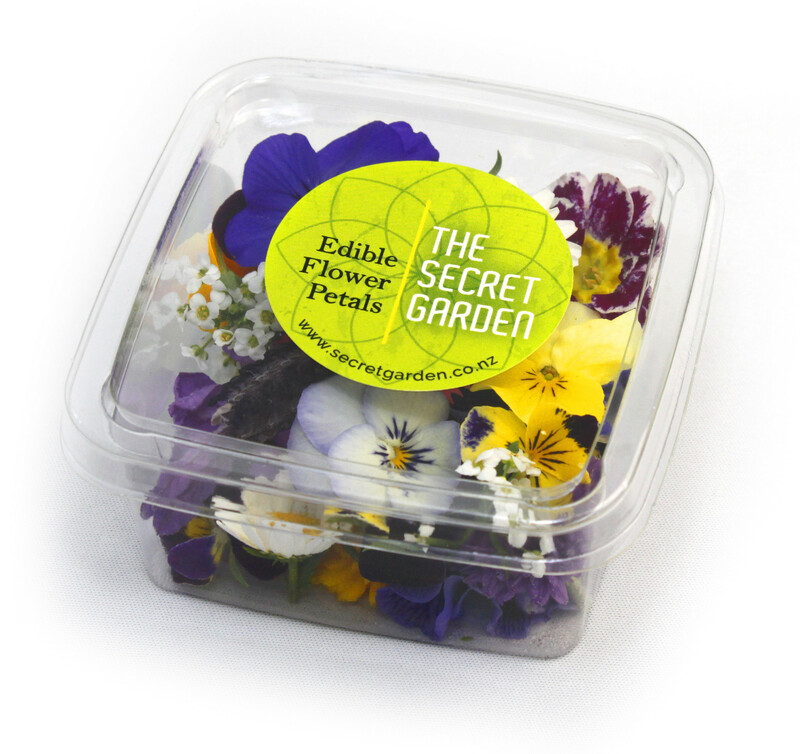 It’s here she grows miniature vegetables and edible flowers, and raises dairy goats, ducks, chickens, pigs and sheep. 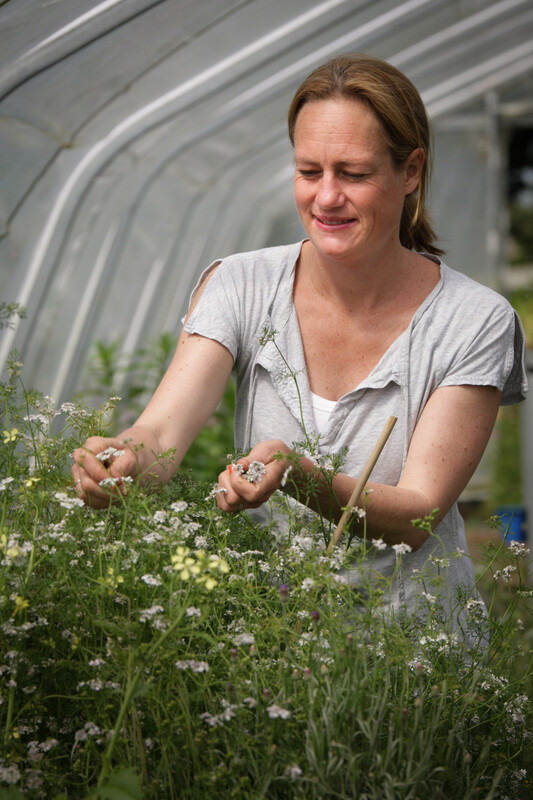 Her joy comes from growing things naturally, in a healthy soil, a concoction, she says, made of compost, coffee grounds, compost tea, pea-straw and manure. Sprays are natural, too, made with seaweed extract, fish extract or neem tree oil. The garden flourishes as is evident in the flawless, beautiful produce. I’ve long been a user of flowers to brighten dishes, grabbing bits and bobs from the garden, but I’m very much from the camp that less is more. I generally don’t want to eat a bunch of flowers with a slice of cake, for instance, but a few petals scattered here and there look adorable. I learnt by trial and error – overdoing it with nasturtium flowers in a pasta salad once (let’s just say, most of the dish went in the rubbish). My advice is to remove the petals from the flower heads and scatter them over salads, vegetables or desserts. I tend to be generous when adding flower petals to a mixed green salad, as not only is the colour striking set against green leaves, but a lemony vinaigrette seems to bring them to life. 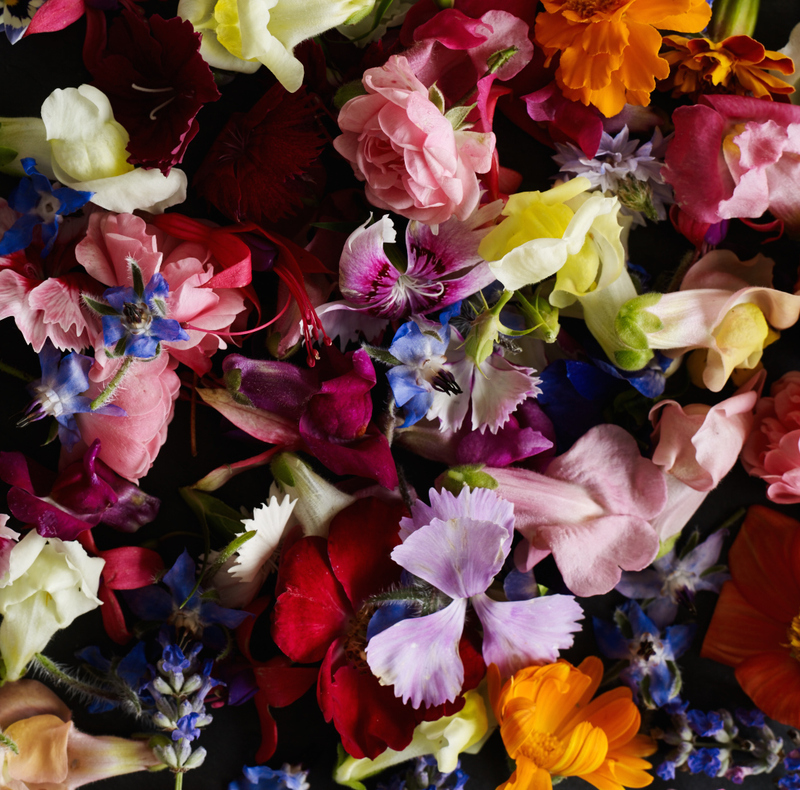 You’ll note hints of cucumber and apple and other fruits in edible flowers, along with tang and pepper, clove and musk, and herbaceous notes, too. Glorious stuff. Roasted carrots and beetroot are okay ... but add a bit of red meat and a glass or two of merlot and they taste a whole lot better!